They say life imitates art and art imitates life. At school, our Religious Education teacher made us watch Pay it Forward. To this day, I’ve never fully understood what it had to do with our Religious Education syllabus, but I’ve never forgotten the sentiment or principle of the film and I still rejoice a little when I see examples of it in real life. The notion of having a good thing done to you and then in turn doing something good for someone else has never left me. It’s now the anniversary of attending my first ever (and so far only) Grace Hopper Celebration of Women in Computing and it’s been lovely to look back and fondly remember the women I spoke to from, Nora Denzel’s excellent keynote, the warmth of students and girls in attendance, the generosity of the Anita Borg Institute staff members and of course the time I spent on stage with such accomplished women as Facebook’s Jocelyn Goldfein. I remember the feelings of elation and camaraderie when arriving at the conference and seeing the ridiculously long queue of women at the registration desk. I remember the moments of belonging when hearing about the experiences of fellow women working in technology around the world. I remember feeling so at home amongst women who, like me, had a deep appreciation for all things computer science. I remember the feeling of achievement at the end of the open source all-female Hackathon, where I taught a few women Drupal and helped a fledgling news site sort out some technical issues. Above all, I remember the great sense of wanting to pass the feeling on as I got on my plane to leave Baltimore. Fast forward just over a year and I’m proud to say, I’ve done the same. 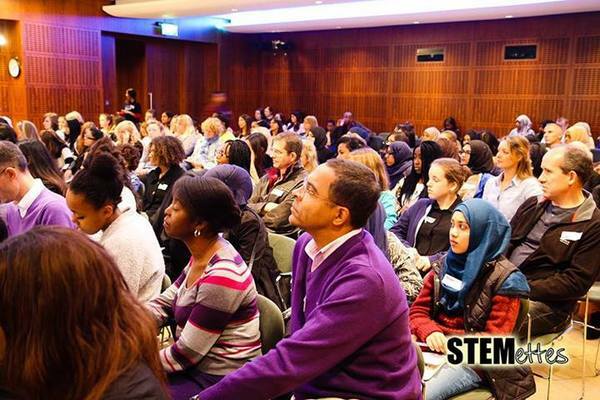 It’s been a crazy 8 months on the Stemettes project – we’ve tried to give 400 girls the same feeling, have ran 6 public events and are making slow but steady progress towards increasing the number of girls choosing Technology, Science, Engineering and Mathematics as a career. People attending our events have enjoyed themselves and are beginning to run events of their own – hoping to pass the feeling and the passion onwards. My nomination for Community Spirit in The Women of the Future Awards in association with Shell comes with the added hope that any girls or women who see the excellent work of my fellow nominees and I, catch the bug and feel the need to pass the inspiration onwards. 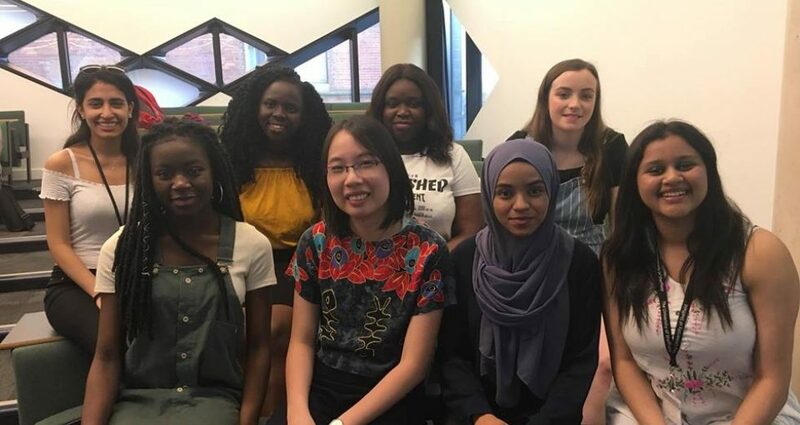 Seeing so many women doing so many great things in a diverse set of fields will hopefully help others feel empowered to continue the good work and make strides forward in their chosen fields of endeavour, be it starting their own social enterprise, creating their own invention or really going for that top job at work. Anne-Marie Imafidon has been shortlisted for the 2013 Women of the Future Awards. For further information click here. The awards ceremony will take place on Wednesday 13 November and is hosted by Real Business in association with Shell.